Statmetrix, an incredibly intricate analytical machine with a mastermind at the helm. 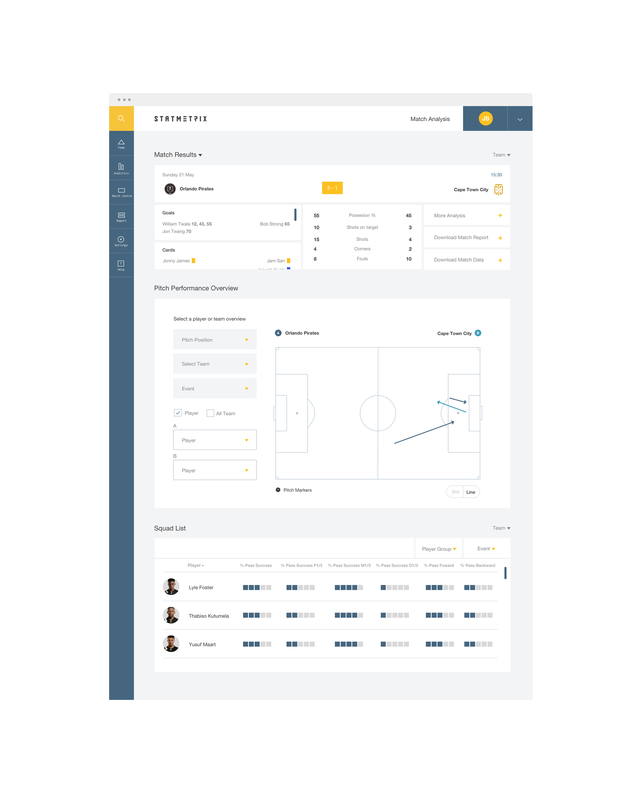 Using forward-thinking technology Statmetrix required a web based application to provide the football industry with first class data on player analysis. It's easy to get overwhelmed when feeding over 1000 data points into a fully functional yet simple UI. Through landscape mapping, we created a powerful engine to power video data and convert into real-life stats. The task was then to hide all the wires under a beautifully minimal hood, giving the user the ability to easily monitor in-game statistics and allow the correct coaching for players. The platform would then give insight into the player community for scouts, allowing them to find out who's hot right now!